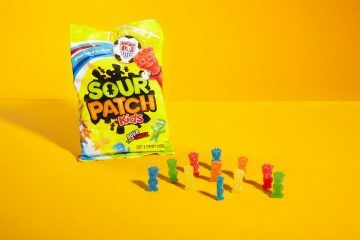 Some countries like to keep it classy when it comes to food, but others really like to shock. What some people might find disgusting, in some cultures, it is actually a delicacy. 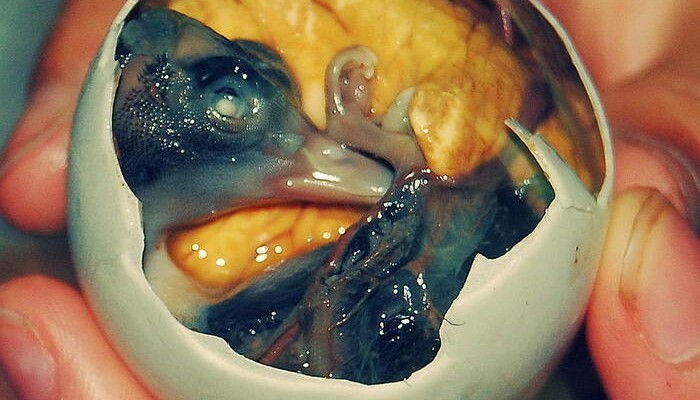 Here’s our list of 10 most unusual foods in the world. In times of war or extreme poverty, people used to eat rats to survive, but they are consumed today in many parts of the world and they are actually considered a very tasty meal. Vietnam, Malawi and Kenya are some of the countries that consume rats. They can be cooked in all sorts of ways: fried, salted or dried. 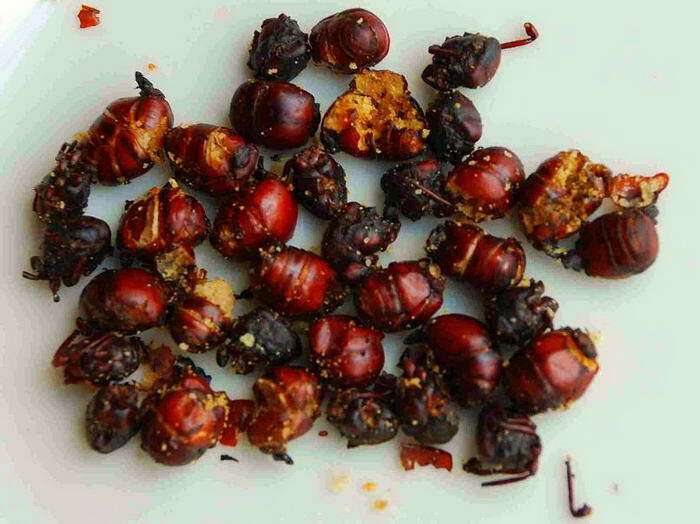 This is apparently a very crunchy dish, similar in texture to nuts. They are considered a delicacy in Colombia and they are sold roasted and salted in the streets or in certain shops. People also eat it with a sauce that apparently goes well with their texture. 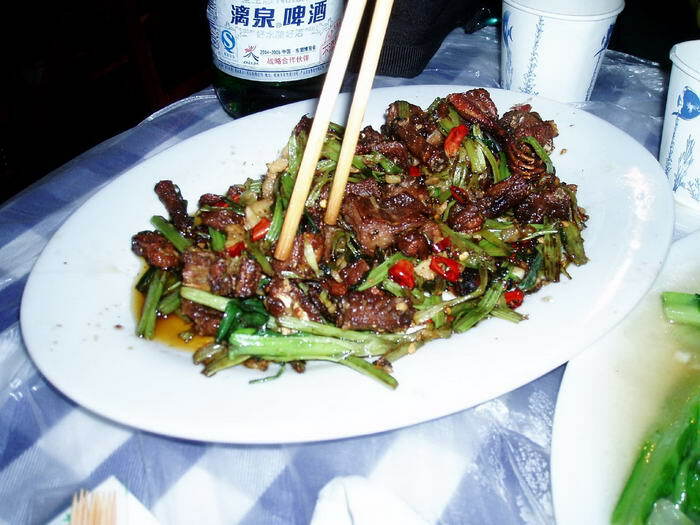 This food is considered a delicacy, so if you dare to try it, you should be prepared to pay quite a lot of cash for it. 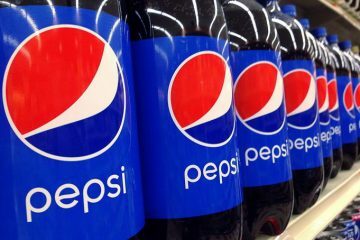 This is an alcoholic beverage, very popular in some parts of Asia, especially in China. It is made with snake and rice wine. Some of the snakes are venomous, but the ethanol makes it safe to drink. 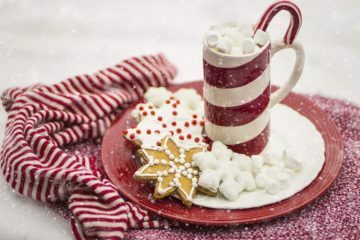 In traditional Chinese medicine, it is said that this beverage cures and reinvigorates the one who drinks it. 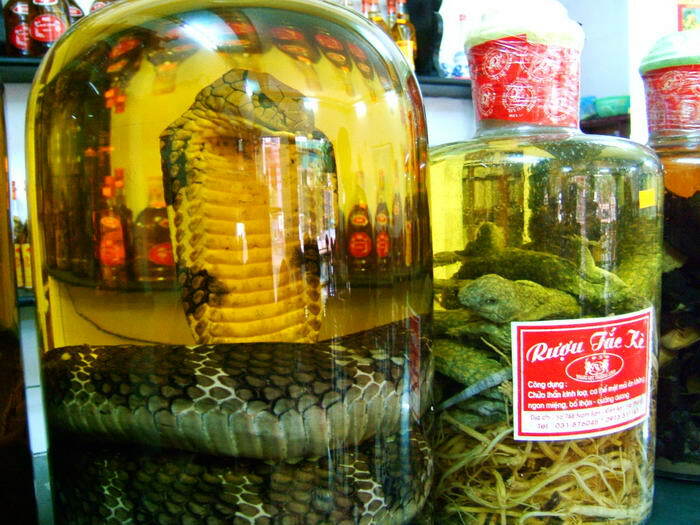 Taiwan is another country where snake wine is very popular and the Huaxi street market in Taipei is renowned for its snake wine. The nightmare of some-the favourite dish of others. Yes, people actually eat these creatures that are feared by most of the people. 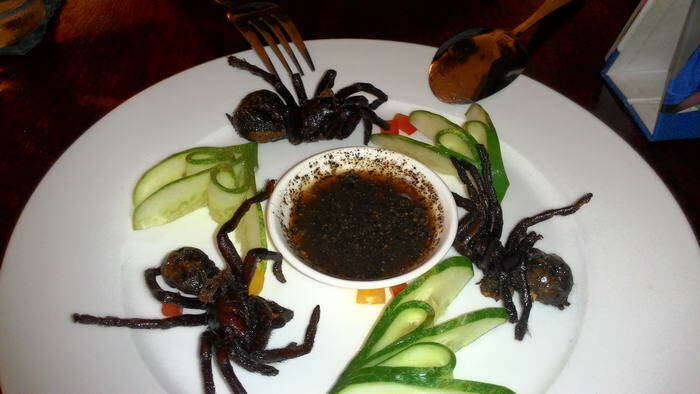 In fact, tarantulas are considered a delicacy in Cambodia. They can be grilled, fried or served on a stick. Apparently, a huge variety of spiders are deep fried and eaten in Cambodia. 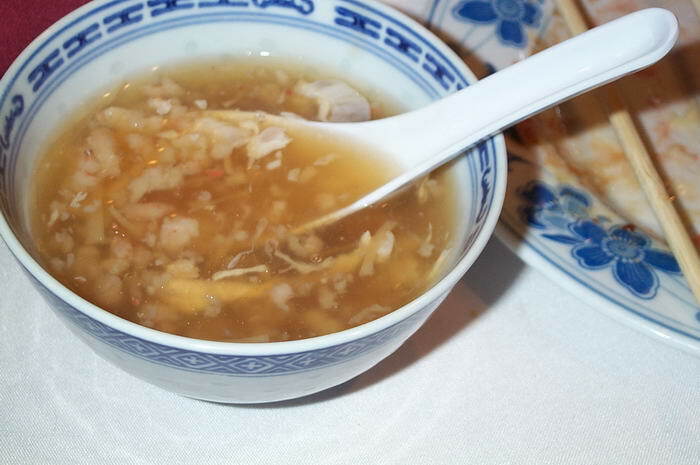 One of the most expensive dishes in the whole world, Birds’s nest soup, as the name suggests, is actually made of a bird’s nest. These nests are composed of the hardened saliva of a male swiftlet and they are harvested only 3 times a year from coastal caves. This extremely expensive dish can be found in China and only the nest can cost up to 2000 dollar per kilo. 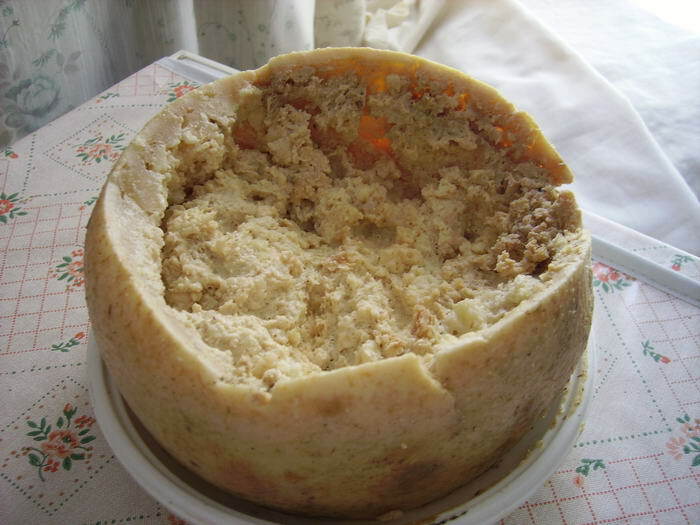 Casu Marzu is fermented sheep milk cheese. Nothing that disgusting so far, but what makes this dish so different is the fact that it contains live insects maggots made by leaving the cheese outside until thousand of cheese-flies lay their eggs inside. This dish is very common in some areas from Italy, especially in Sardinia. Kopi Luwak in the most expensive coffee type in the world and it is actually removed from the faeces of civets. This unusual coffee beans are produced in Indonesia and the process of obtaining the is really interesting. 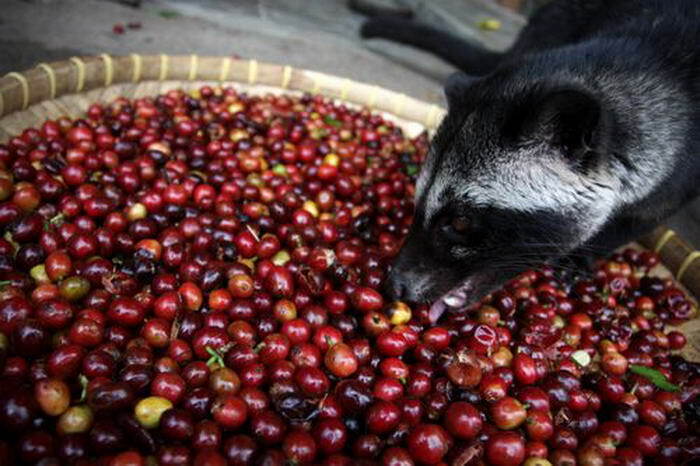 Civets are fed the coffee berries, which will be fermented in their digestive tract and eliminated afterwards. Prices range from 550 euros and to 700 euros per kg. What makes this fish unusual is the fact that it can kill the person who eats it. 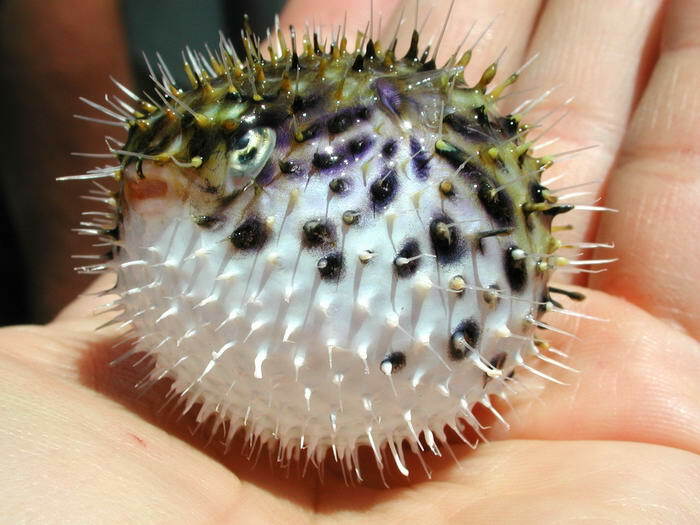 If it is not cooked correctly,puffer fish can cause a violent death because it contains a toxin that is 1200 times more deadly than cyanide. 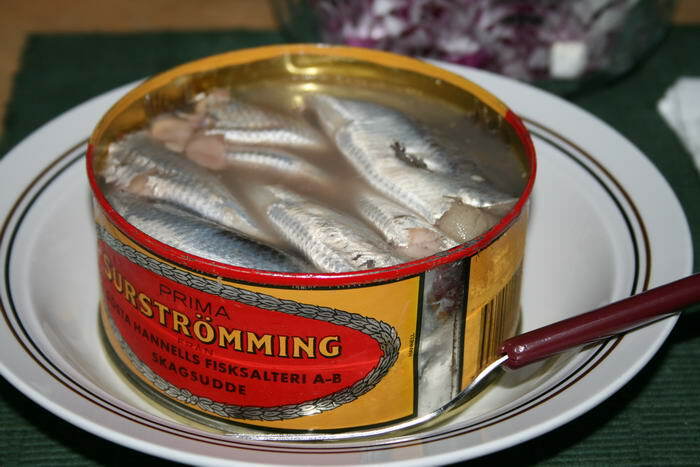 This unique dish is very popular in some parts of Sweden and it consists of fermented fish. After being caught, the fish is fermented for about two months before being tinned. 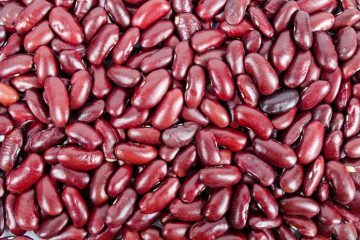 Once tinned, it continues to ferment and its smell is so terrible, that some major airlines banned this food in their airplanes. 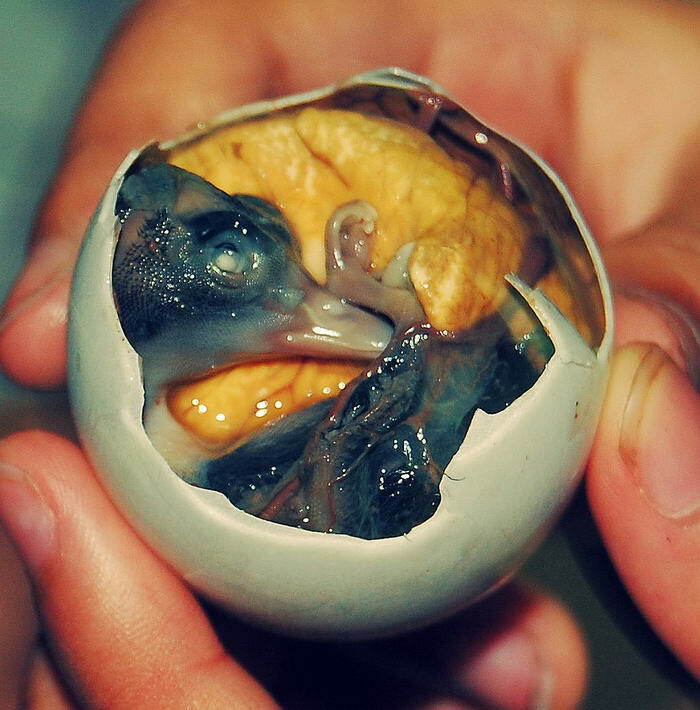 Definitely one of the most unusual foods that people invented, balut is a duck embryo that is boiled alive and eaten from the shell. Extremely popular in Southern Asia, this dish is actually considered a delicacy and it’s said to taste very good.